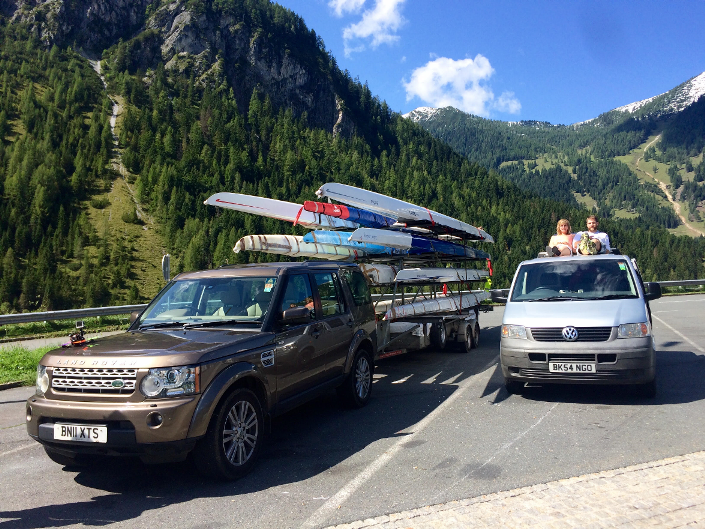 Early September saw Stratford upon Avon Rowing Club Masters undertake the Club’s most ambitious overseas regatta competition with a 1,500 mile trip to Bled in Slovenia for the 2017 World Rowing Masters Regatta. 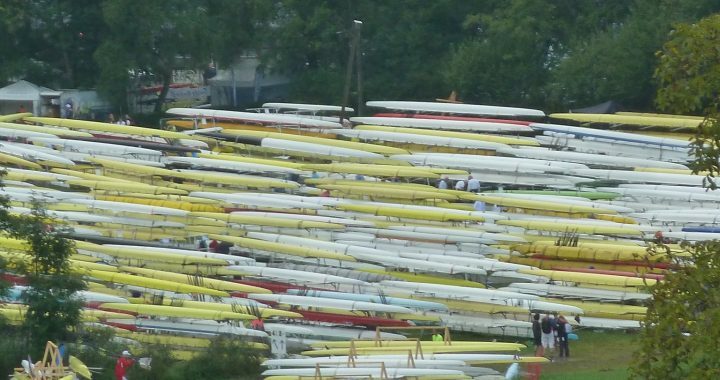 The event, the biggest rowing regatta ever held, attracted 4,588 competitors from 862 clubs worldwide. 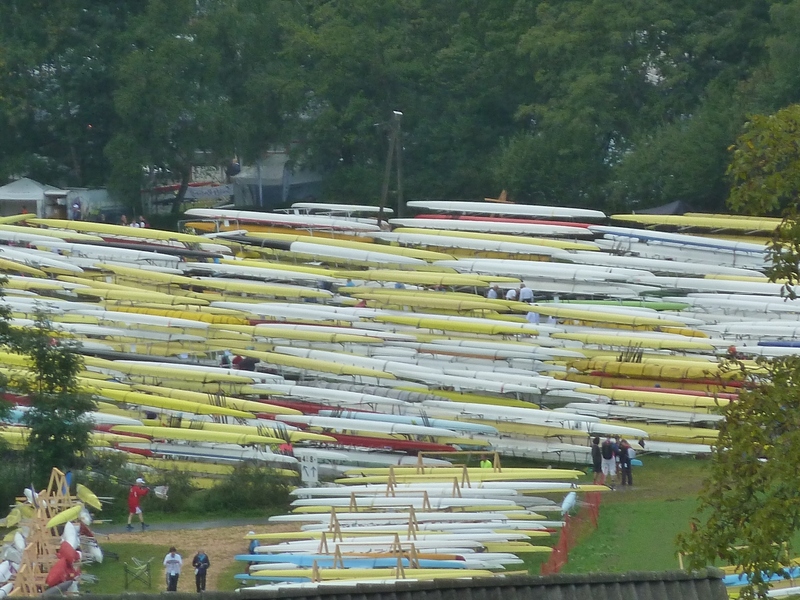 Event entries were huge with over 1,200 entries each in men’s single sculls and double sculls age categories. 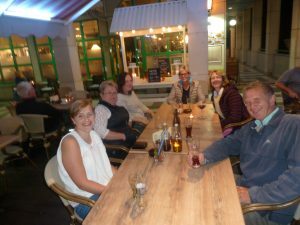 The large entry meant the organisers added an extra days racing to the competition which ran from Wednesday 6th through to Sunday 10th September. Great Britain lead the list of competing athletes with 852, closely followed by Germany with 800 and the USA, Italy, following closely behind: 46 countries were represented at the event. The event demanded a large logistical operation to plan equipment requirements, transport and protect boats and associated equipment, and organise accommodation for the 1,500 miles journey through Germany and France to the regatta course in Slovenia. The journey was planned over several months between Stratford and Bridgnorth rowing clubs, and included transporting boats from Worcester, Ironbridge, Hollowell Scullers, and Pengwern Rowing Clubs. Towing duties were ably led and planned by Shan Stokes, Safety Advisor from Stratford Boat Club who along with daughter Becky and colleagues from Bridgnorth undertook the three day journey. A fantastic sight of fields of boats greeted the competitors on arrival at the stunning lake Bled venue in Slovenia, overlooked by the imposing Bled Castle and picturesque church topped Bled Island and the international regatta course. 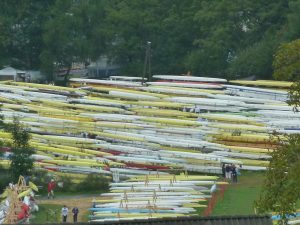 Tuesday saw frantic last minute training by multitudes of club crews on the warm up course which was not without incident with a number of boats heavily damaged in collisions. 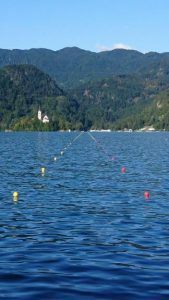 Day One (Wednesday) saw the start of competition racing proper in hot conditions with races on a packed schedule on the 1000 metre course setting off at 500 metre intervals which meant three races using the course at any one time all day. First to race for Stratford was Tim Lunel and Tom Doherty in Mas D double sculls in a borrowed boat seventh in their heat in a time of three minutes and fifty eight seconds placing 127th overall out of 145 competitors. Rebecca Stokes was next to compete coxing a Bridgnorth eight to a fine fifth finish position in a time of three minutes and twenty eight seconds in Masters B eights. 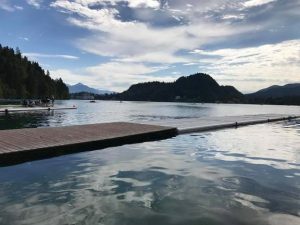 A bright Day Two (Thursday) saw an increase in Stratford competitors with Tim Lunel in the heavily competitive Men’s single sculls Masters D event. 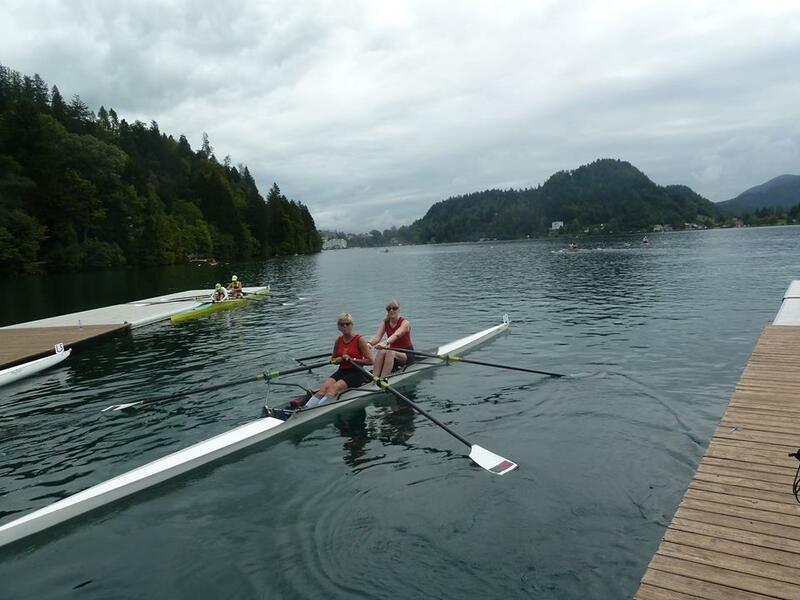 Rowing in a borrowed boat, Tim nevertheless put in an excellent row to finish fourth in a time of four minutes and eight seconds in his heat and 122nd of 180 competitors overall. Later in the day saw the composite eights crew from Stratford and Bridgnorth clubs featuring Stratford rowers, Simon Beard, Richard Shepherd, Tim Lunel ,Tom Doherty, and cox Becky Stokes finish in fifth place in their heat in a time of three minutes and fourteen seconds in Masters D eights and 37th of 47th overall. 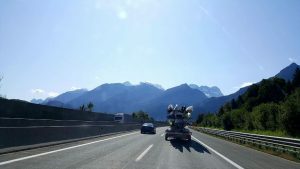 Day Three (Friday) saw an early start in changeable conditions for Stratford masters D coxed four of Simon Beard, Richard Shepherd, Tim Lunel, Tom Doherty, and cox Becky Stokes. 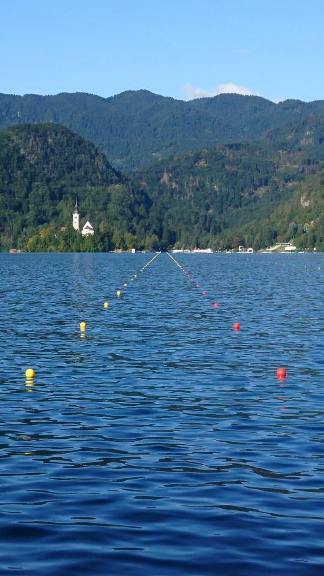 A solid row produced a fifth finish in a time of three minutes and thirty eight seconds for an overall position of 21 of 36 competitors. 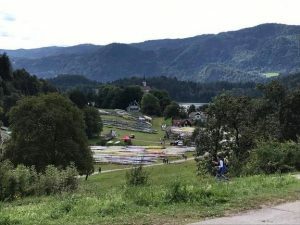 Stratford women entered the competition next with Kjersti Woolley racing in a composite crew with Bridgnorth in Women’s Masters E double sculls finishing fifth in a time of four minutes and thirty two seconds, 68 out of 77 overall. Becky Stokes continued her coxing during the day with a fourth place in a heat of Masters A coxed four in a time of three minutes and twenty five seconds with Bridgnorth to finish 12 of 17 overall. The final Stratford race of the day saw Simon Beard and Richard Shepherd in Masters D pairs finish fifth in their heat in a time of three minutes and fifty four seconds for an overall position of 37 of 48 entries. 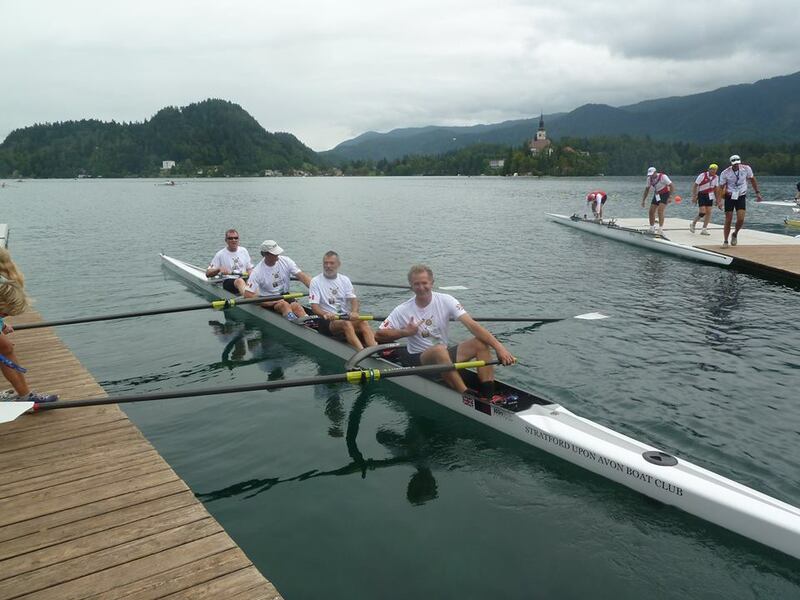 Tim Lunel however not content with his two previous races took to the water again in an international Masters E coxless four with a combined crew from Gorge Narrows in Canada and Bridgnorth to record a time of three minutes and forty eight seconds. Day Four (Saturday) saw the penultimate day of racing in much changed conditions with increasing wind and rain. First up for Stratford was a combined International Masters’ E eighth featuring Stratford rowers Simon Beard, Richard Shepherd, Tim Lunel ,Tom Doherty, and cox Becky Stokes, assisted by Bridgnorth rowers and Egyptian rower and Bled medal winner Hany Anwar to record a time of three minutes and twenty one seconds with an overall finish position of 21 of 37 entries. 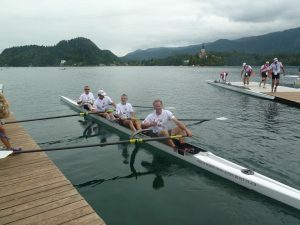 Worsening conditions saw Stratford Masters’ D coxless four of Simon Beard, Richard Shepherd, Tim Lunel and Tom Doherty record another fifth place finish in a time of three minutes and thirty three seconds for an overall event position of 40 of 59 entries. The women were next to take to the water in by now choppy conditions in Masters C double sculls with Kjersti Woolley and Victoria Brennan recording a creditable time of four minutes and forty three seconds in challenging conditions. The final Stratford race saw a combined Bridgnorth /Stratford crew of Paul Wallis and Tom Doherty competing in by now rough conditions in Masters’ E double sculls to record a time of three minutes and fifty three seconds and an overall finish position of 106 of 156 competitors. Day Five (Sunday) saw a rapid deterioration of the weather with heavy winds and rain forcing a number of withdraws from the scheduled competitions. Stratford braved a mixed Masters’ E double sculls race with Tom Doherty and Kjersti Woolley who were forced to battle the elements down the course for a seventh place finish. Although the weather was unkind towards the end of the competition, the event was an outstanding success enjoyed by all who took part in the competition, credit being given to the organisers who ensured despite the large numbers of competitors that there were no queues or hold ups.